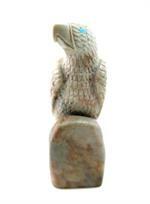 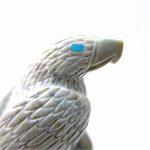 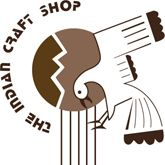 This handcarved eagle fetish is made by Zuni artist Ben Zaamasee. 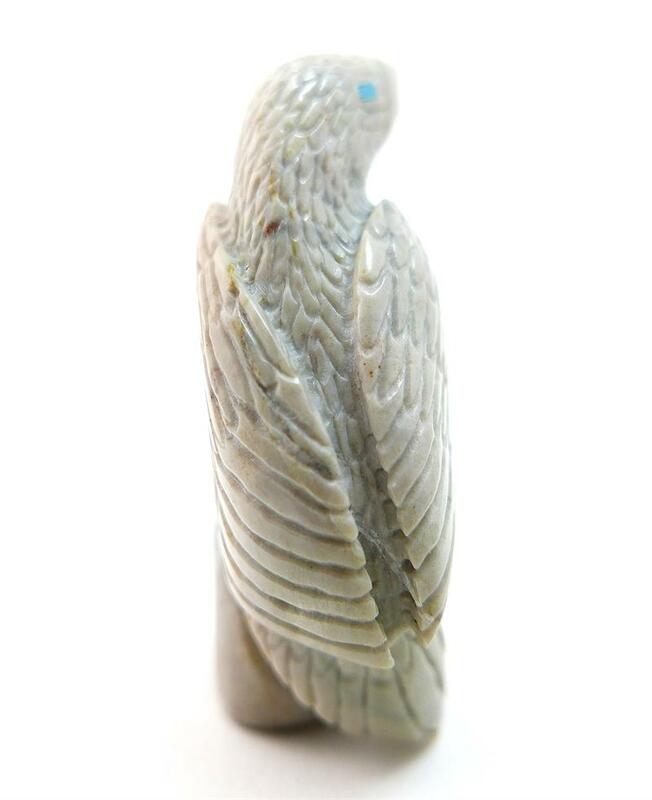 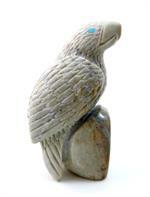 It is made of a beautiful picasso marble with incised feather and wing details and turquoise inlaid eyes. 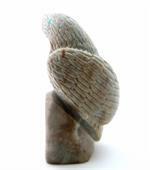 H 3", W 1", L 1.5"